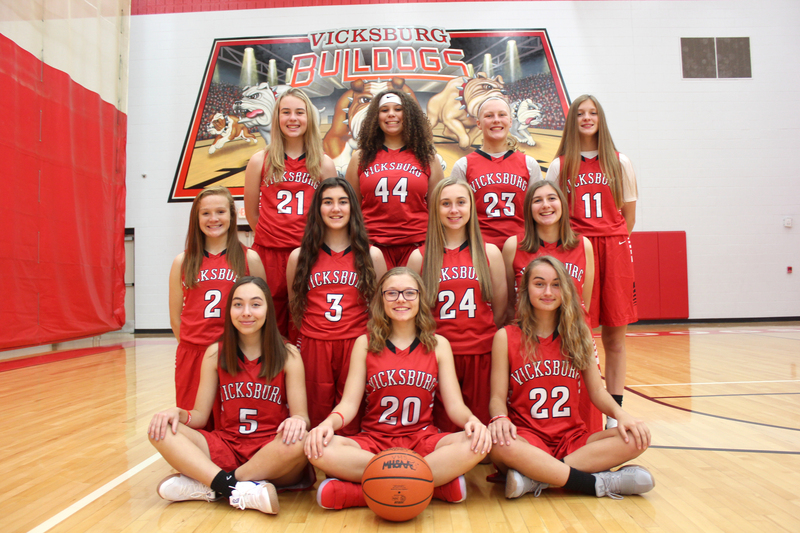 JV Basketball: Seated, from left: Sophia Blankenship, Mattie Price, Cate Curtis. Kneeling, from left: Karyna Lewis, Payton Lewis, Claire Martin, Kaitlynn Szydlowski. Standing, from left: Kayla Mottl, Delaney Thomas, Danielle Diekman, Sarah Hewitt. Not pictured: Coach Kyle Roberts.